Best Western Plus Hotel Groningen Plaza is on the intersection of the A7 and the A28. Therefore, this design hotel is an excellent starting point for exploring the city of Groningen and the Ommelanden (the countryside). 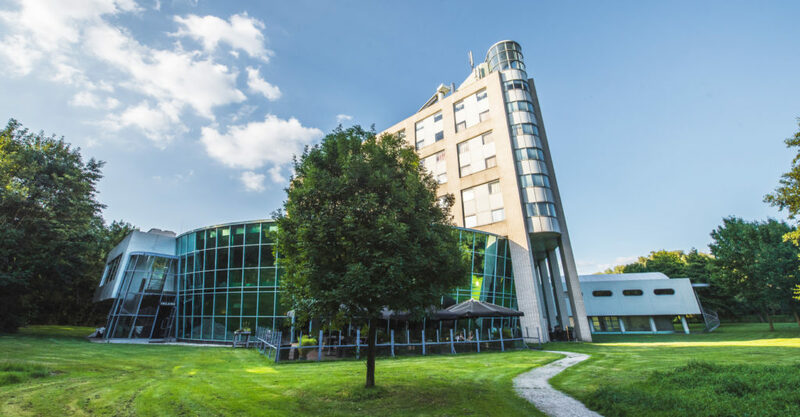 The hotel is located directly by the Hoornsemeer, a lake which is situated in the middle of a natural area which is perfect for cycling and walking. Our 121 hotel rooms offer you anything you’d might expect from a modern hotel. Our Standard Rooms have exactly what you might need, while the Executive Rooms offer all luxury you could wish for. Our Comfort Rooms are spacious and very suitable as family rooms. All rooms are equipped with a flat screen TV and free Wi-Fi. The hotel is wheelchair accessible, has an indoor swimming pool and a spacious garden. Dogs are not allowed in our hotel. Service dogs are of course welcome. Restaurant Meerwold has a kitchen with international touches. The restaurant serves lunch and dinner. All our dishes are made with seasonal products. The hotel has free parking. There are charging stations for electric cars (also suitable for Tesla). At the weekend you can make use of the free Shuttle Service to the city centre. 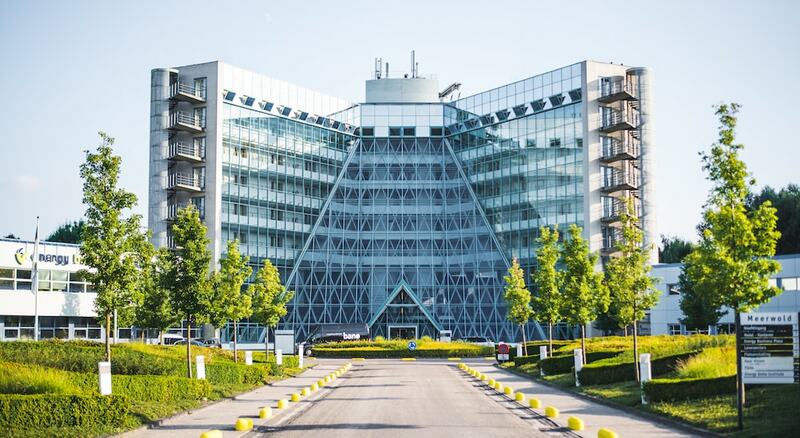 The nearest bus stop (Eisenhowerstraat) is a little over 650 metres away from the hotel. From here, buses go straight to the city centre. Nature lovers and water sports enthusiasts will enjoy themselves at Best Western Plus Hotel Groningen Plaza. Nature reserve ‘Hoornsemeer’, including the ‘Hoornseplas’, is directly adjacent to the hotel garden. The nature reserve has several cycling and walking paths and the lake is perfect for boat trips or other recreational activities on the water. 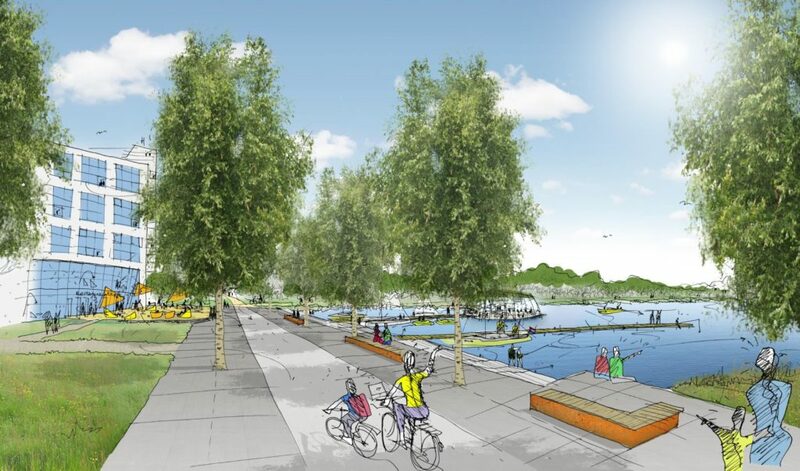 The city council of Groningen has agreed with the so-called Meerplan (Lake plan). After the implementation of the Meerplan, the hotel will be situated directly by the lake. The lake will be excavated towards the hotel and the hotel will get a new patio. Between the lake and the hotel, a boulevard will be constructed which is fantastic for strolling around. The Meerplan also provides in two jetties where boats can moor and next to it a pavilion where guests can have a drink and have a bite to eat. You can hire a boat at Zuidwesthoek Marina, which is situated directly by the lake. You can choose between a canoe, a dinghy, a sailing boat, or a motorboat. The “Meerwold” was built in 1991 and used to be a Dutch Royal Mail training centre. The remarkable building has a very rich history. Back in the day it used to be called modern and nowadays the design is still very striking. It has the size of a text book. 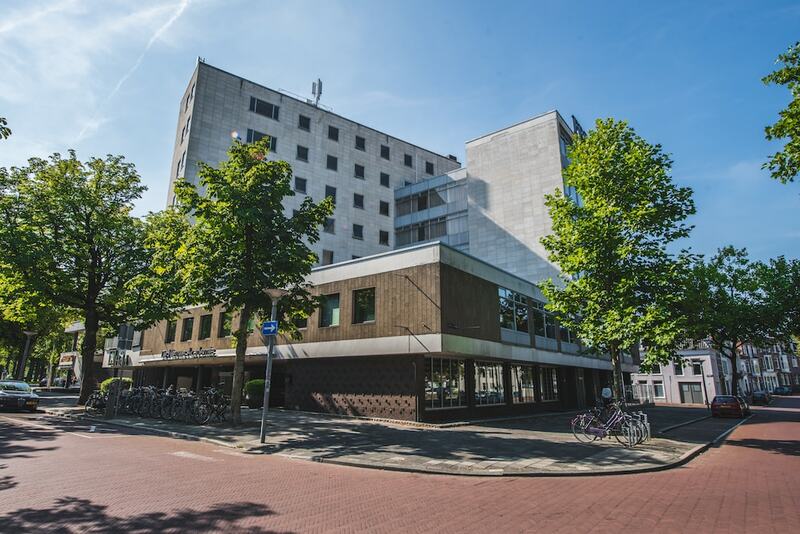 Best Western Plus Hotel Groningen Plaza is an excellent base camp for trips to the lively city of Groningen and to its surrounding area. The city of Groningen offers its visitors a mixture of culture and history. But Groningen is also a very modern city. Characteristic is the fact that in the beautiful city centre, the native residents live together quite harmoniously with the student population. Discover the diverse range of shops and visit one of the famous cafés or terraces around the Grote Markt (Great Market). Also the Ommelanden (surrounding area) of the city offers lots of entertainment and sights. Polders and nature reserves, old ‘borgen’ (castles), festivals, fantastic cycling and walking options, there is plenty to do. Experience it yourself! Because there’s nothings that goes beyond Groningen. Interested in the many activities in the city and the countryside? Then please, check our Activities page! Swimming in the indoor pool? Cycling, walking, or running in a nature reserve? Best Western Plus Hotel Groningen Plaza offers lots of sports activities for you to relax. And if you want to make life easy for yourself, then hire one of the hotel’s e-bikes. Ask at the reception about the possibilities. Would you like to relax in the sauna during your stay in our hotel? SpaWell in Peize and Sauna De Bron in Tynaarlo, are located 10 km and 14 km away, respectively. Medisch Centrum Zuid fitness centre is only two minutes cycling from the hotel. Our guests can use their facilities at a special rate of € 7.50 (including a towel). A rental bike to cycle to the fitness centre is also included in the price. Go to the reception to make a booking. The vast landscape of Groningen with its magnificent views, the unique Wadden, but also the small-scale fields and meadows (Westerkwartier), offer great walking trails. Famous areas include: Lauwersoog, Westerkwartier, Hondsrug and Dal van de Ruiten Aa. Groningen is also the start of the famous Pieterpad (Peter Trail). The Pieterpad is the best-known long-distance walking trail in the Netherlands. The trail runs from Pieterburen (by the Wadden coast) to Sint-Pietersberg near Maastricht. Along the way, you will pass the most diverse landscapes. The length of the trail is 492 kilometres. 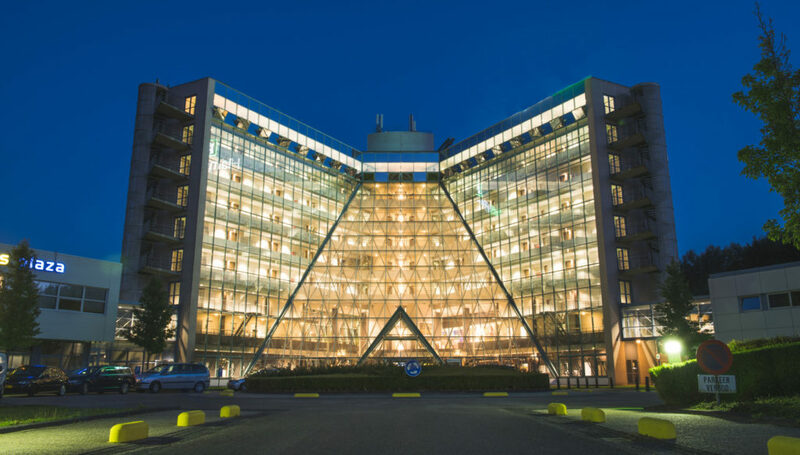 The good thing is that Best Western Plus Hotel Groningen Plaza is located along the Pieterpad! Reception will be happy to help you making your choice and can also provide roadmaps. 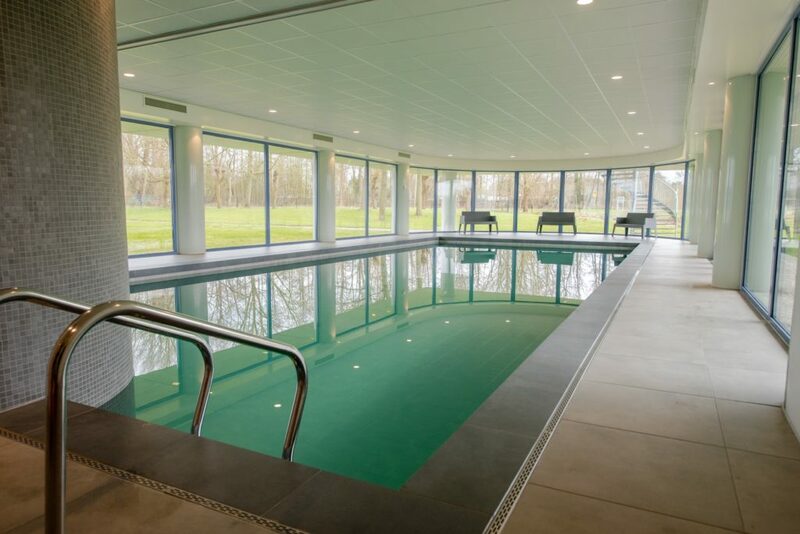 The heated (29 degrees) indoor swimming pool can be found on the ground floor of the hotel. The pool is perfect for leisurely doing your laps or for your children to play in.